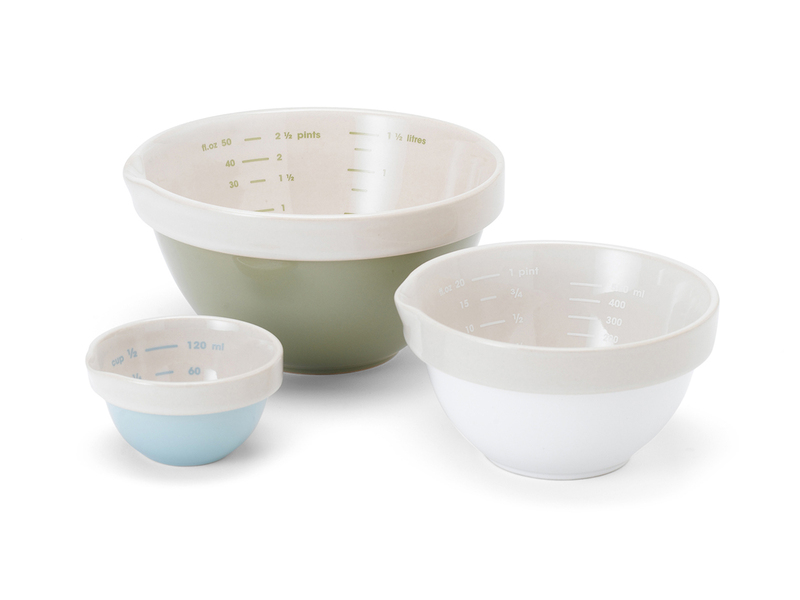 This range of “Cook’s Bowls” which we’ve designed for the J-me (Jamie Oliver) range, have a specially shaped rim for a firm grip, and measures marked inside for adding direct to the bowl. There is also a spout detail allowing mess free pouring. Available in 3 different sizes, including handy half-cup measure prep bowls, they nest as well as stack, and come in 3 different colours.